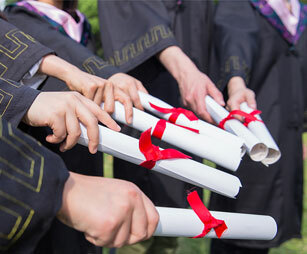 A Specialist Degree is awarded study for the 3 years program. We want to develop talents who engage in animal quarantine, food inspection, health management, health and quality control aspects. Basic Veterinary Science, Clinical Veterinary Science, Preventive Veterinary Medicine, Veterinary Health, Animal Anatomy and Embryology, Animal Physiology, Pathology, Veterinary Microbiology, Animal Biochemistry, Food Toxicology, Animal Diseases, Food Microbiological Testing, Animal Parasitology, Animal Science and other common diseases. Animal Husbandry Bureau, Animal Husbandry and Veterinary Station, Health and Epidemic Prevention Inspection Station, Veterinary Health Supervision, Quality Supervision Bureau(s), Animal Quarantine and Inspection Service(s), Meat Processing Plants, Livestock and Poultry Farms, etc. We award a bachelor’s degree in agriculture for a 4 years program. Training of basic skills includes basic knowledge of animal science, basic theory and animal production, animal husbandry expertise. We engage in high-level aspects of animal production, animal science, such as working in animal production and management, animal science and other departments. Animal Anatomy, Embryology, Biostatistics Attached Experimental Design, Animal Physiology, Biochemistry, Animal Nutrition, Animal Genetics, Animal Breeding Science, Animal Production, Animal Husbandry and Microbiology, Grassland Science, Environmental Hygiene and Farm Equipment and Machinery. Animal Husbandry And Veterinary Research Institutes, Animal Breeding Companies, Feed Companies, Veterinary Stations, Animal Husbandry Bureau and other departments. It is a 4 years program and a degree in agronomy is awarded. Training includes the basic theory and basic knowledge of Pharmacology, Pharmaceutical Chemistry, Pharmaceutics, the analysis of pharmaceutical and so on. We apply the knowledge and skills to carry out experiments and research, which are veterinary applications, the basic ability of technology development and technology management, master animal drug formulation technologies research, teaching units, pharmaceutical technology and drug quality testing techniques that can be used in various pharmaceutical companies, pharmaceutical sector at all levels, pharmaceutical production units, drug inspection department, drug supply and marketing sector, pharmaceuticals sector, veterinary medicine or related fields and other departments, independent technical guidance in veterinary medicine production, technological innovation, the ability to process design and management of drug quality control. Personnel of advanced applications and management and technical service engage in new animal drug research and development and drug analysis testing work. Anatomy and Embryology Animal Science, Plant Tissue, Animal Physiology, Animal Biochemistry, Physiology and Biochemistry of Plants, Veterinarians Veterinary Regulations, Modern Instrumental Analysis, Pharmacology, General Veterinary Medicine, Veterinary Microbiology, Veterinary Epidemiology, Veterinary Parasitology, Synthetic Drugs Pharmacy, Chinese Medicine Chemical, Veterinary Biological Products, Pharmaceutical Engineering, Biotechnology and Pharmaceuticals. Drug departments at all levels, the Centers for Disease Control, Animal Quarantine Department, Institute of Animal Husbandry and Veterinary, Veterinary Management and Production Units, Food Production Enterprises, Universities, Vocational and Technical Schools and other departments. Study for 4 years, you will get a bachelor’s degree in agricultural. Training includes basic veterinary science, veterinary science and basic knowledge and basic skills of clinical preventive veterinary to be able to engage in veterinary clinical treatment and prevention of animal diseases, such as high-level expertise. Basic Veterinary Science, Preventive Veterinary Medicine, Clinical Veterinary Science, Animal Anatomy, Embryology, Animal Biochemistry, Animal Physiology, Animal Pathology, Veterinary Microbiology, Veterinary Pharmacology, Livestock Parasitological, Livestock Infection Diseases, the Animal Science, Veterinary Science, Veterinary Health Inspection. Animal husbandry and veterinary administration, import and export of animals and their products, testing, diagnosis and control of animal diseases, pet hospital, animal centers, veterinary companies, veterinary hospital, animal husbandry bureau, animal epidemic prevention departments. It is a 4 year study program where a Bachelor’s Degree is awarded after completion. Training includes animal and plant quarantine, the basic theory and basic knowledge of agricultural biological sciences, biological pest plants and animals, food safety and other aspects of inspection, animal and plant levels can quarantine station, animal and plant quarantine department of trade industry, no pollution of agricultural production units, green food quality inspection department, quality supervision department of agricultural markets, agricultural technology promotion department, veterinary clinic or related fields of scientific research, teaching units and other departments so that we can engage in animal and plant quarantine, animal and plant health inspection, pest integrated control, high-level expertise of biological resources protection, animal and plant products and food safety testing and other work. Veterinary Science, Plant Protection, Health Inspection, Information Technology Infrastructure, Analytical Chemistry, Instrumental Analysis, Botany, Animal Physiology, Animal Biochemistry, Physiology and Biochemistry of Plant, Animal Pathology, Plant Pathology, Microbiology and Immunology, Infectious and Parasitic Diseases of Livestock, Agricultural Entomology, Weed Science, Animal Quarantine Science, Plant Quarantine, Food Hygiene Inspection, Biostatistics, Food Microbiology Laboratory Science, Animal and Plant Quarantine Regulations. Customs, ports, airports, centers for disease control, animal and plant inspection and quarantine departments, institute of animal husbandry and veterinary, veterinary management and production units, food production enterprises, universities and vocational and technical schools and other departments. It is a 3 year study program where a Specialist Degree is awarded after completion. We want to develop the talents who engage to master techniques of animal pharmaceutical preparations, pharmaceutical technology and drug quality experimental techniques. The personnel of advanced applications and management have the ability to engage in animal drug production and technical guidance, technical innovation, process design and management of drug quality control, new animal drug research and development work. Biology, Pharmacy, Drug Analysis, Information Technology Infrastructure, English, General Chemistry, Organic Chemistry, Instrumental Analysis, Physical Chemistry, Anatomy and Histology, Analytic Chemistry, Animal Physiology, Animal Biochemistry, Pharmacology Veterinary Microbiology and Immunology, Medicine and Pharmacognosy, Medicinal Chemistry, Synthetic Drugs Pharmacy, Herbal Pharmacy, Bio Pharmaceutical Manufacturing Technologies. Pharmacy administration sector, pharmaceutical sector, veterinary medicine production enterprises, animal breeding companies, veterinary companies, veterinary hospital, animal husbandry bureau, animal epidemic prevention departments. It is a 3 year study program where a Specialist Degree is awarded after completion. Students are trained to fully grasp the diagnosis, prevention and treatment techniques of animal diseases, in order to engage in the clinical treatment of advanced applications, health and epidemic prevention, livestock fan support and other aspects of the work and management personnel. Basic Veterinary Science, Clinical Veterinary Science, Prevention of Veterinary Science, Animal Science, Animal Anatomy and Embryology, Animal Biochemistry, Animal Physiology, Animal Pathology, Veterinary Microbiology, Veterinary Pharmacology, Livestock Parasitological, Animal Infectious Diseases, Animal Science, Veterinary Science, Veterinary Health Inspection. Animal breeding companies, veterinary companies, veterinary hospital, animal husbandry bureau, department of animal epidemic prevention, diagnosis and treatment of livestock and pet diseases, animal biochemical factory, zoos, pet farms and so on. It is a 3 year study program where a Specialist Degree is awarded after completion. We want to develop the talents who with a strong practical ability and adaptability, engage in the production and management of livestock feed production technology and other aspects of feed work. Main courses: English, Computer Science, Electrical Engineering, Instrumental Analysis, Biostatistics, Attached Experimental Design, Animal Physiology, Biochemistry, Mechanical Foundation, Livestock Microorganisms, Feed Production, Animal Nutrition, Feed Science, Feed Analysis, Feed Processing Mechanics, Feed Processing Technology and so on. Feed management and supervision departments, feed mill design, optimization and management of feed formulation, feed production, processing and quality testing skills, animal husbandry bureau, such as livestock and poultry farms. It is a 3 year study program where a Specialist Degree is awarded after completion. We want to develop the talents who engage in livestock breeding, livestock disease control and animal production management ability of senior livestock talents. English, Computer Science, Animal Anatomy and Embryology, Animal Biochemistry, Animal Physiology, Animal Science, Animal Genetics, Animal Breeding, Bio-Statistics attached to experimental design, Animal Sanitation, Animal Pharmacology Science, Animal Pathology, Animal Diseases, Animal Invasion Epidemiology, and Animal Production Science. Veterinary enterprises, animal biological products business, animal husbandry and veterinary station, livestock enterprises, pet hospital, veterinary epidemic prevention station, the disease control centers, epidemic prevention and quarantine station, livestock improvement station. It is a 3 year study program where a Specialist Degree is awarded after completion. We want to develop the talents who with a strong practical ability and adaptability, mainly related to the livestock sector, engage in livestock production and livestock management technology and other aspects work. Animal Physiology, Animal Breeding, Animal Genetic Breeding Science, Animal Production, Animal Anatomy, Biostatistics attached experimental design, Biochemistry, Feed Production Science. Agriculture and animal husbandry, veterinary services, animal husbandry center, prairie station, livestock and poultry farms, veterinary and other business enterprises.